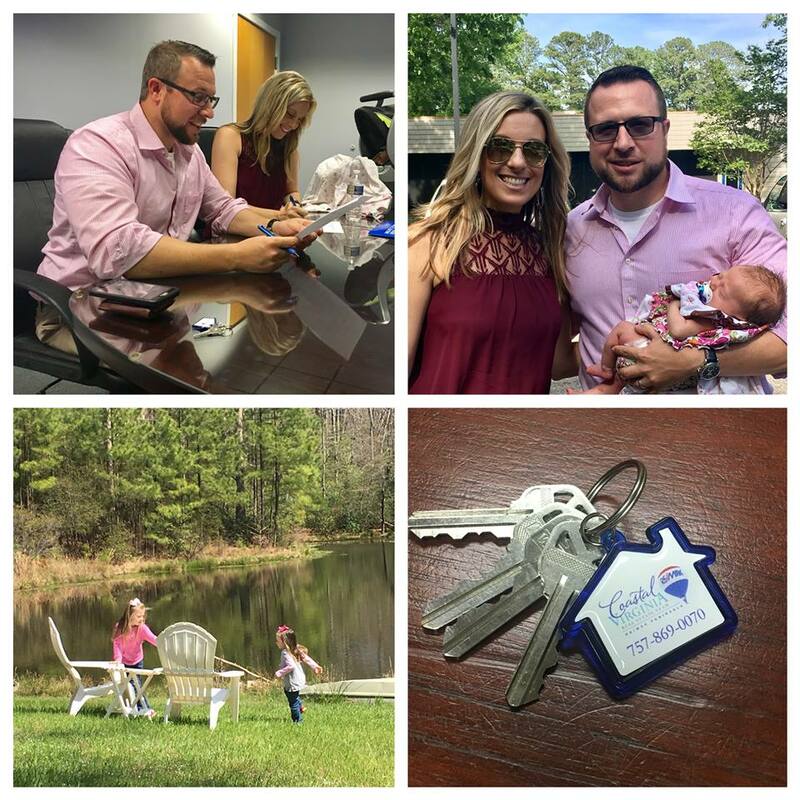 With dreams of a better neighborhood, better schools and a multi-generational home, the Allen’s set out on an adventure to find a home that would fit their large family and somewhere they would be happy with in Coastal VA. They originally had their heart set on a town in South Carolina that they fell in love with while visiting family in years past. But as time went on and they explored their options… it proved to be more difficult to make a big move that far away. So, the house hunting began in Yorktown and Williamsburg. With Ryan and Stephanie both working in on the lower peninsula, the search was limited to a certain mile radius to cut down on drive time and time away from their precious girls. See, at the time, Stephanie was pregnant with their third child! Their 4 bedroom was too small for their family of 5 and her parents, who were going to be staying with them part of the year. After searching and searching for something that would have a large enough main house and a true in-law suite, we came across what has now become known as “The Ranch”, in Toano VA. Within the first 10 minutes of arriving, the goosebumps had arrived as well. The 9 acres of land that backed up to a private pond was breathtaking. They finally could envision their future and forever home being at that “ranch." The walkout basement had been converted to an in-law suite which was perfect for her parents. The main house had plenty of space for their soon to be family of 5… It was a dream come true! They are now enjoying fishing, 4-wheeling, and an awesome community in their new neighborhood!